Ottawa, ON, April 15, 2013 – According to statistics released today by The Canadian Real Estate Association (CREA), national home sales edged upward on a month-over-month basis in March 2013 but stayed well below levels recorded one year ago. 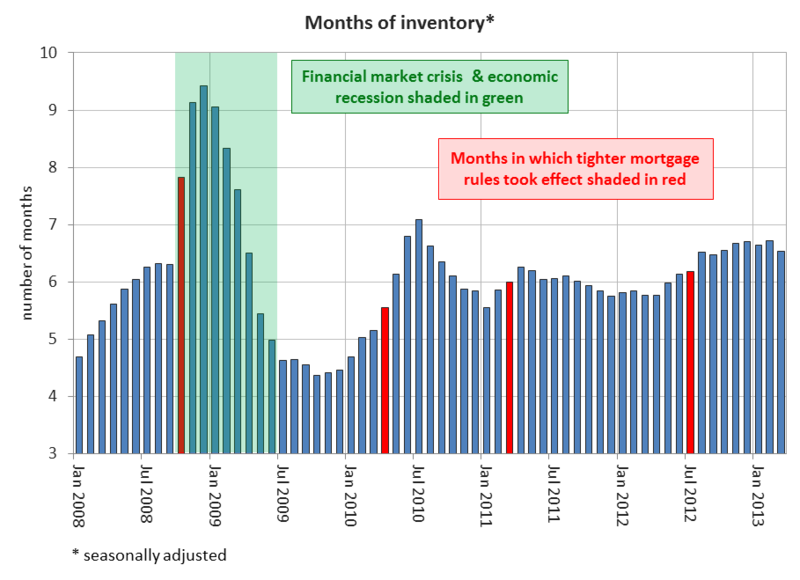 Nationally, there were 6.5 months of inventory at the end of March 2013. This was down from 6.7 months reported at the end of February, resulting from the increase in sales combined with a third consecutive decline in the overall supply of homes for sale. “The number of months of inventory remains elevated but stable in the wake of recent changes to mortgage rules and lending guidelines,” said Klump. 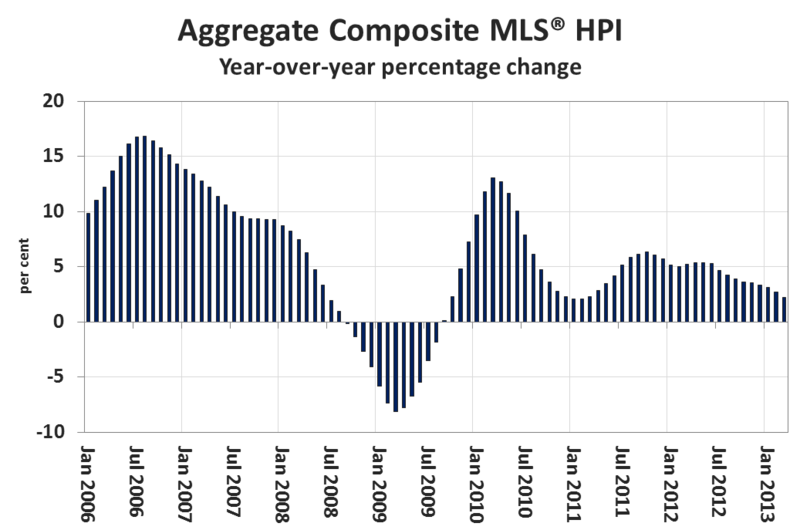 The MLS® Home Price Index (MLS® HPI) is not affected by changes in the mix of sales the way that average price is. For that reason, it provides the best gauge of Canadian home price trends. The Aggregate Composite MLS® HPI rose 2.2 per cent on a year-over-year basis in March. This marks the eleventh time in as many months that the year-over-year gain shrank and the slowest rate of increase in more than two years. Year-over-year price gains decelerated for all Benchmark property types tracked by the index. Price growth remained strongest for one-storey single family homes (+3.4 per cent), followed by two-storey single family homes (+2.5 per cent), townhouse/row units (+2.1 per cent), and apartment units (+0.4 per cent). Year-over-year price growth in the aggregate MLS® HPI for all Benchmark property types combined also slowed in all markets tracked by the index. The MLS® HPI again rose fastest in Calgary (+7.7 per cent), followed by Regina (+4.2 per cent), Greater Toronto (+2.9 per cent), Greater Montreal (+2.0 per cent), and the Fraser Valley (+0.1 per cent). In Greater Vancouver, the MLS® HPI slipped further into negative territory, posting a 3.9 per cent year-over-year decline in March. The Canadian Real Estate Association (CREA) is one of Canada’s largest single-industry trade associations, representing more than 106,000 REALTORS® working through more than 90 real estate Boards and Associations.